Borgo Panigale, Bologna (Italy) 9 June, 2014 – Ducati gave its Bologna factory employees a surprise treat as they arrived for work on Monday, 9 June, with a private viewing of the prototype Scrambler intended for launch in 2015. Setting a characteristic ambience for the new model, workers arrived to discover music and a beach atmosphere with surfboards, street food and a big yellow container in which they were able view the new model undercover. Following many years of rumour and speculation around the project, Ducati’s creative internal stunt at the Italian manufacturer’s headquarters stylishly confirms the existence of the Ducati Scrambler with the added promise that it will be available from early 2015 onwards. Ducati’s decision to announce the arrival of the new model to its employees first, underlines the appreciation it has of its workforce, regarding it as the beating heart of the company. With them, project personnel are creating an entire world around the Scrambler with, as their impromptu beach suggested, a lifestyle of fun, creativity and free expression. While the new Scrambler is created from the same core values that contributed to an important period of the company’s history during the 60s and 70s, it seems set to reinterpret the original model in an entirely up-to-date way. Confirmation of the Scrambler will undoubtedly delight the thousands of fans who have been dreaming of such a project for many years. Non-conformist, accessible and essential, the new Ducati Scrambler is said to represent the perfect combination of the traditional and contemporary, while returning to the pure essence of motorcycling - two wheels, wide handlebars, a simple engine and a lot of fun. As yet no official images have been released and none of the lucky Ducati employees were allowed to take photos inside the big yellow viewing container, but Ducati confirms the new Scrambler will finally break cover this autumn and become available from early 2015 in Ducati Stores worldwide. 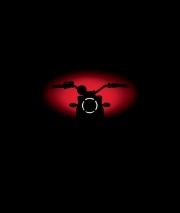 Those hungry for more information and who wish to follow the fascinating journey through the development of the project can do so on the dedicated website http://www.scramblerducati.com/ or gather content via the #scramblerducati hashtag.